What Would Happened if We Succeed? Do you want to be a Turbo Star? How is it Toward the East? Advanced Science of Morphology is a project that questions the possibility of unity in Europe by reflecting on the changes that have happened to the countries that once made up Yugoslavia. 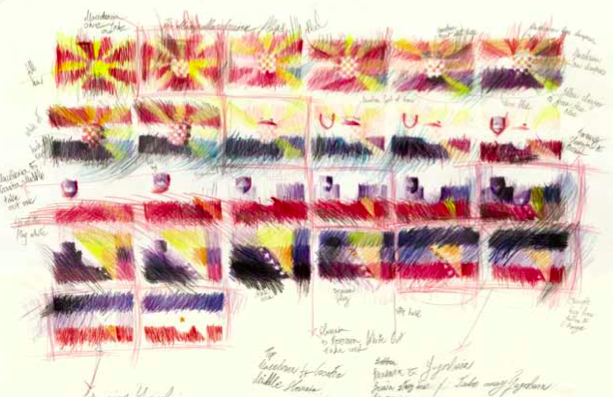 The 26 combinations of the national flags of the states that once made up Yugoslavia is a timely art work that replaces the flags of the EU member states in Marble Arch Park in London in 2006. The morphing of national identities aims to question the goal of unity in Europe and invites us to reflect on the roles we play in making and breaking dreams of European togetherness. 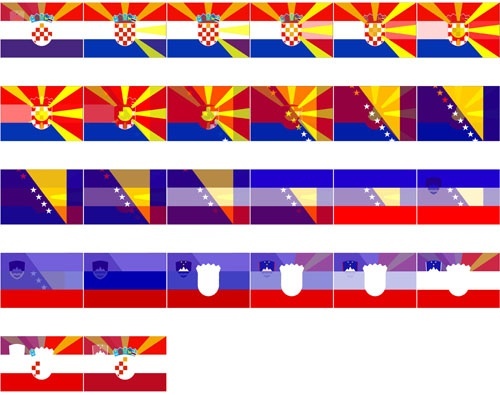 This project uses flags, (morphed national symbols and colours of countries that made up ex-Yugoslavia) as a symbol of changes that have happened in the area of ex-Yugoslavia since disintegration of SFR Yugoslavia. The project comprises of project development drawings; site specific public art projects (which are recorded in the set of photographs) and an video animation. 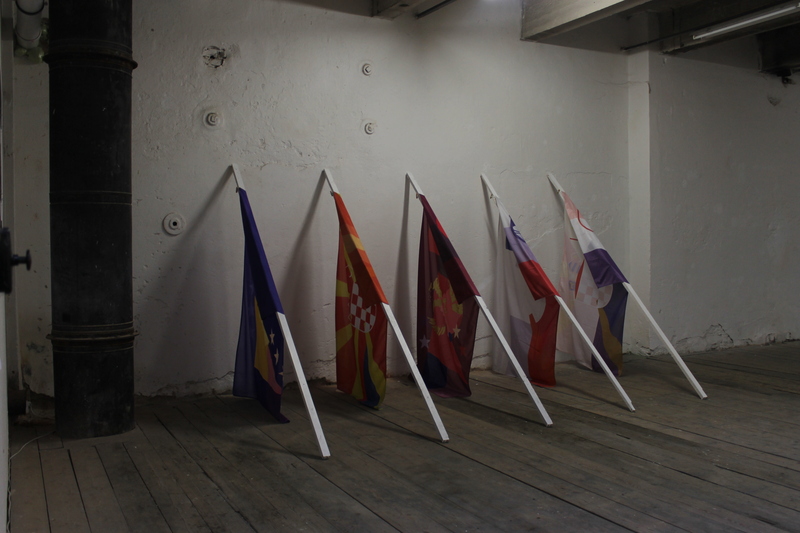 5 flags, 5 flag pools, 200x150x300 cm.